A masala spice mix that makes the traditional Butter Chicken dish. Add this flavoursome masala for an authentic taste which is captured in the traditional recipe. Can be used with vegetables, paneer and egg. Butter chicken is one of my favourite dishes and one I create lots at home. It is very time consuming though with all the different spices you need to use. 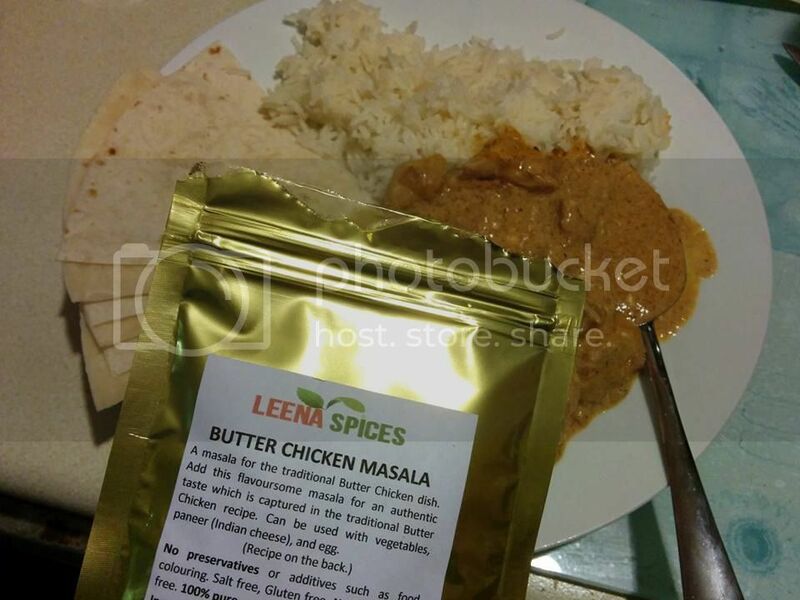 When I saw the masala butter chicken spice mix up for review I was very keen to give it a try. A mix which makes a household favourite quicker, easier and free from anything nasty sounded perfect to me. The night after my review package arrived I decided it was going to be butter chicken for dinner. Pulling out the packet the instructions were easy to follow but I was disappointed there were no actual cooking times listed. It simply said cook till tender as I make butter chicken lots I know just how long it takes but it could be confusing for someone trying the dish for the first time. Opening the packet the smell hit me straight away and it smelt wonderful. Following the instructions I soon had the dish simmering and the house was smelling great, I couldn&apos;t wait for the dish to be done. Once the dish was almost done I cooked some rice ready to dish out. Unfortunately I should of given the dish a taste before dishing it out, while it was nice it was very mild compared to the butter chicken I usually eat. 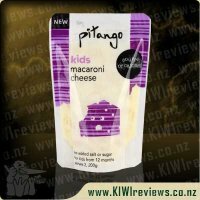 If I had of tasted it first I would of added another spoon or two to give it a bit more wow factor. Despite being very mild the dish had all the traditional butter chicken flavour to it and it was so quick and easy to throw together. 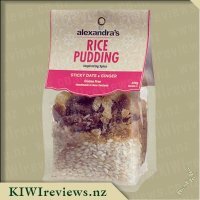 I will be buying it again for sure but next time I would add just a little more spice mix to suit my tastes. It felt absolutely necessary to actually make butter chicken when presented with a butter chicken spice mix. I have never made butter chicken from scratch and I have only made it a few times with a pre-made sauce. It is my favourite dish when we have takeaway Indian though! 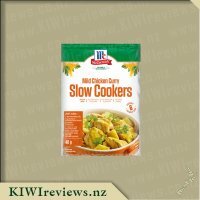 We have been looking for options to put in the slow cooker for the many times were are caught up with kids&apos; activities in the lead up to dinner. 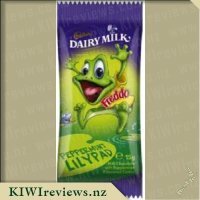 I figured that this could be a good option (even if the kids weren&apos;t likely to want to eat it). 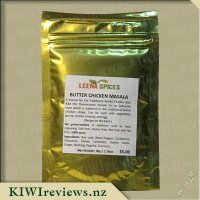 I looked online for a slow cooker butter chicken recipe and I found a similar recipe to the one of the back of the Butter Chicken Masala pack. It seemed that they were close enough for me to decide to use the supplied recipe in the slow cooker rather than in the pot as per the directions. I really liked the fact that the packet is resealable. I was also very happy that the contents were purely spices and didn&apos;t contain any unnecessary rubbish as one might find in a pre-made sauce. 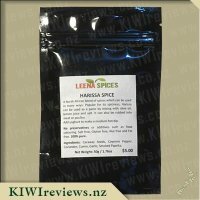 When we opened the spice pack, there was a pleasing aroma to greet our noses. I was looking forward to seeing what we could make with it. 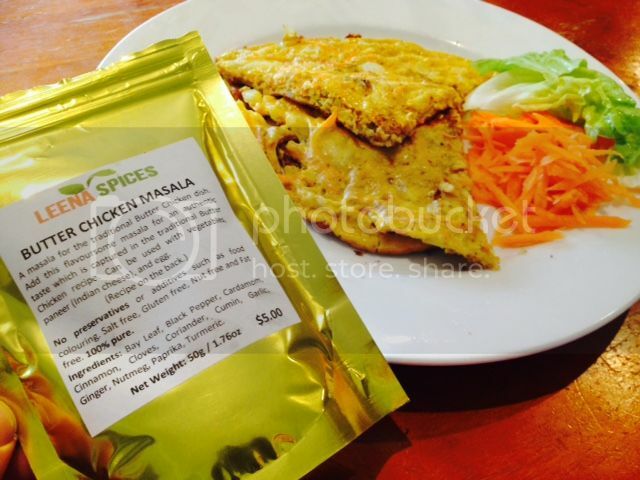 The packet suggests that the spices can go well with egg and vegetables as well as the obvious chicken. We popped the butter chicken in the crockpot in the morning to get things started. It cooked away nicely for the day. At lunchtime, I figured that we should make a butter chicken day of it and try the spices with some egg. I made up an omelette, added in some shallots, grated carrot, milk, salt, pepper and some of the spice mix. It didn&apos;t smell too strong, so we added a bit more spice mix in as it was cooking. The end product was rather nice and a great change to a standard omelette and worth repeating. A little before serving time for the dinner, we added the cream as per the instructions. We found that the crockpot wasn&apos;t going to do the job of thickening up the sauce. We poured the meal into a pot and finished it off on the gas hob. We then added the honey to finish the meal off. At this time, we tasted the sauce and found that it was rather weak in flavour. 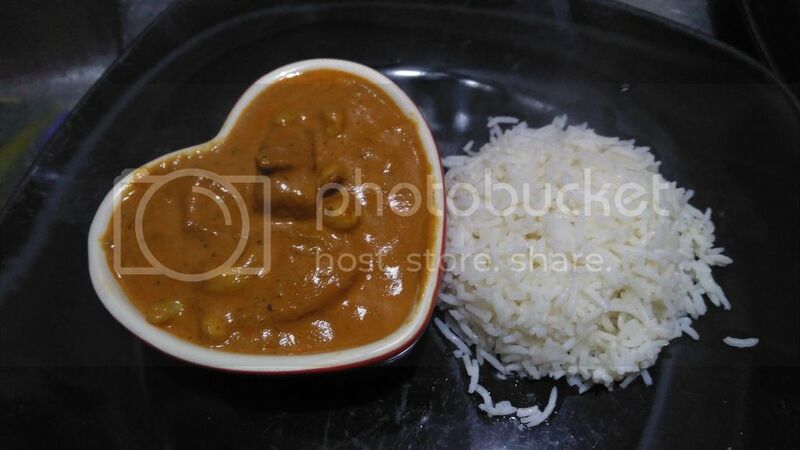 We added about couple of teaspoons of the Butter Chicken Masala mix into the pot and cooked it for a bit longer. The end product was still not that spicy and not my favourite version of butter chicken. The one ingredient that we didn&apos;t have available was cayenne pepper - perhaps the addition of that would have given a bit better flavour to the meal. I think that the recipe is the part we have to work on in order to make a good butter chicken as the spice mix itself looks good. I don&apos;t think that cooking the meal in the crockpot should have made a difference to the flavour. Next time I think we will just add a lot more spice mix into the recipe right from the beginning. Mr Six wasn&apos;t impressed that the product smelled like curry when he put his nose near the pack! I know that he was unlikely to like it and his reaction concreted that option for me! Miss Four, who has more grown-up tastebuds, didn&apos;t like the butter chicken at first. After dinner, she tried it again and she announced that it had a bit of spice but it was nice. I think that because it was a VERY mild curry, it was a good place for her to start with developing a taste for Indian food. This part of the meal was a win. 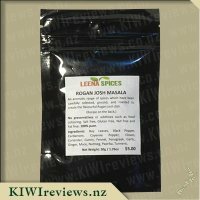 It was fun experimenting with this spice mix and it made me try some things that I haven&apos;t tried before. I think it went well with the omelette but my version of the butter chicken could do with some work and the inclusion of a lot more spice mix for the recipe. 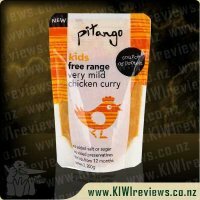 We are big butter chicken fans in our house so was keen to try this brand out, we have tired many of the other options out there but are always keen to try another. I initially thought this was a one time use mix but upon reading the instructions I noticed only 2tsp is required. 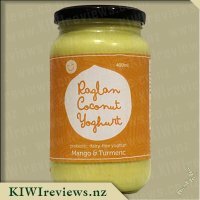 This mix will make about 3-4 meals making it awesome value for money at $5 as most one off sauce mixes are around this price. I was glad to see the mix comprises only of spices and is salt free, gluten free, nut free, fat free and no preservatives or additives. I read the recipe supplied on the back which says to use chicken, onion, Leena&apos;s spice mix, tomato paste, water, cream, butter, honey, and cayenne pepper. I decided to omit the water and use more cream and also omitted the cayenne pepper as I didn&apos;t know how spicy the mix was and I was making it for the kids as well. 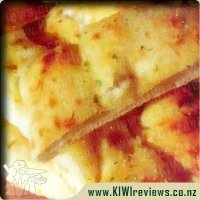 We found it was really nice and the kids ate it all up too which is also a bonus, I would perhaps use more of the spice mix now that I have tried the recommended way. 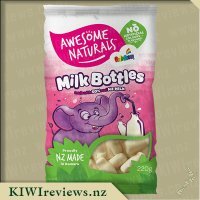 I&apos;m not sure if I would honestly purchase this compared to our usual brand but it was really nice for a change, I would also be keen to try it with beef as I think it would taste just as good. 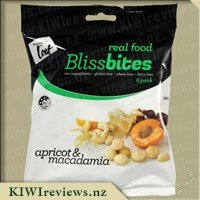 I would recommend this for people to try as it&apos;s so easy and tasty and really good value for money. We had a house guest staying last week and so I decided to do a special curry night for him. I got some diced chicken and all the ingredients needed to make this butter chicken. The only thing I didn&apos;t quite have enough of was the tomato paste. I only had a small container left so I knew it would come out less red than usual. I also didn&apos;t add any ground nuts, though this was optional anyway. We had a lovely time making this meal together in the kitchen. The instructions on the pack were really good and easy to follow. I melted the butter and browned the chicken. Meanwhile the boys dealt with the onion and getting the spices and other seasonings ready to put in with the chicken and onion. I found some of the ingredients I was adding quite strange, like the honey at the end. But it all came together and smelt so good. Everyone agreed. We served the curry with rice and Farrah&apos;s Garlic Butter wraps. The kids only wanted to try a little of the sauce and that ended up being for the best. While we only did 1/2 teaspoon of cayenne pepper to taste, that gave it a good kick and they didn&apos;t like the heat. My husband liked the heat level for this Butter Chicken. Our friend thought it was a little hot for what would be a mild. 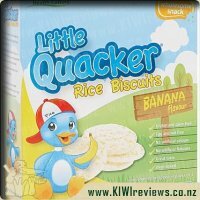 However, he agreed that it was a good overall flavour and he was impressed that we made it ourselves too. I had to agree that the spice level was a touch hotter than I had been expecting, but it was very tasty in any case. I can&apos;t wait to have another Butter Chicken using these spices. It was very easy and a great result. 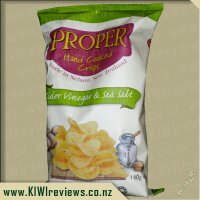 Are you tired of settling for over-processed, artificially-flavored potato chips, and believe that crisps can actually be "real food"? So do we. Our crisps are made in the traditional way, using only natural ingredients... we&apos;re proud of that and want to keep it that way.